Welcome to the Acorn Valley Blog Tour! See the end of this post for the entire blog tour schedule and info on giveaways and special coupon codes. Acorn Valley is my second fabric collection with Riley Blake Fabrics and to say I am in love with this line is an understatement. Autumn is my favorite season of the year and I started drawing the characters for this collection at the beginning of last Fall. The warm Summer air was starting to be replaced with a crisp, cool Winter breeze. Orange and brown leaves covered the sidewalks, and the scent of cinnamon and pumpkin permeated the air. As I watched the fluffy squirrels chasing each other in my backyard, I started imagining a community of forest friends... colorful birds, friendly foxes, fluttery butterflies, amidst a blanket of bright colored mushrooms and flowers. 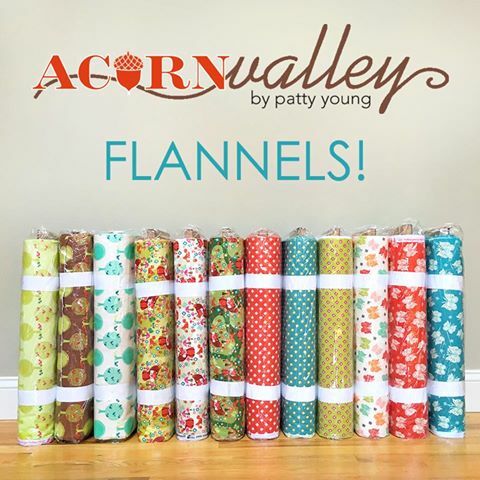 Acorn Valley was born! 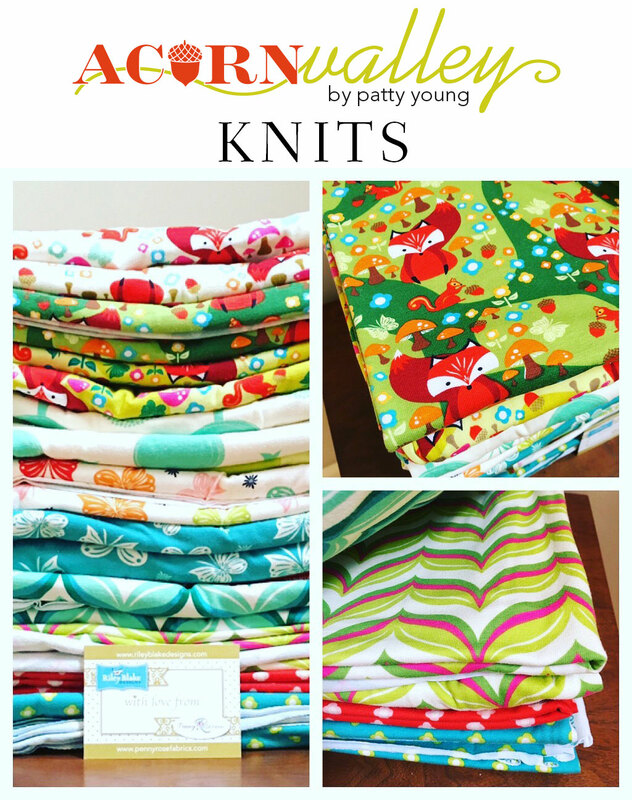 I am even obsessed with this adorable selvage art! How cute is this?? The first print I designed in the collection was the main print, which I titled Fox Hollow. Here you see all the little characters that came to life in my head... Mr. Fox being the main protagonist, with Mr. Squirrel and the sweet butterflies as supporting actors. This print comes in 3 colorways and it is available in knit and flannel. The knit is perfect for bike shorts, like the ones Sydney's wearing below, available as part of my Perfect Leggings pattern. From the main print, I pulled the playful butterflies into a print of their own called Flutter. These glorious butterflies come in 3 color ways, as shown below, and all 3 of them are available in knit, flannel AND double gauze! WOOHOO!!! 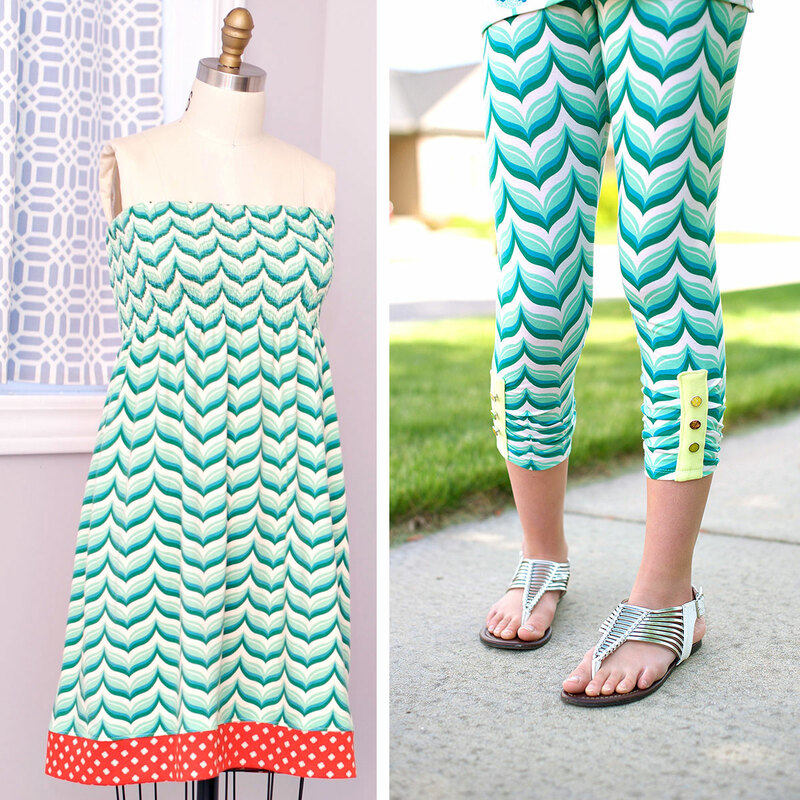 The knit and flannel are both perfect for PJ shorts (left) or pants. And the double gauze can be used for anything from Frilly Sarongs (center) to Handkerchief Skirts (right), both projects found in my newest book, Patternless Sewing MOD Style. 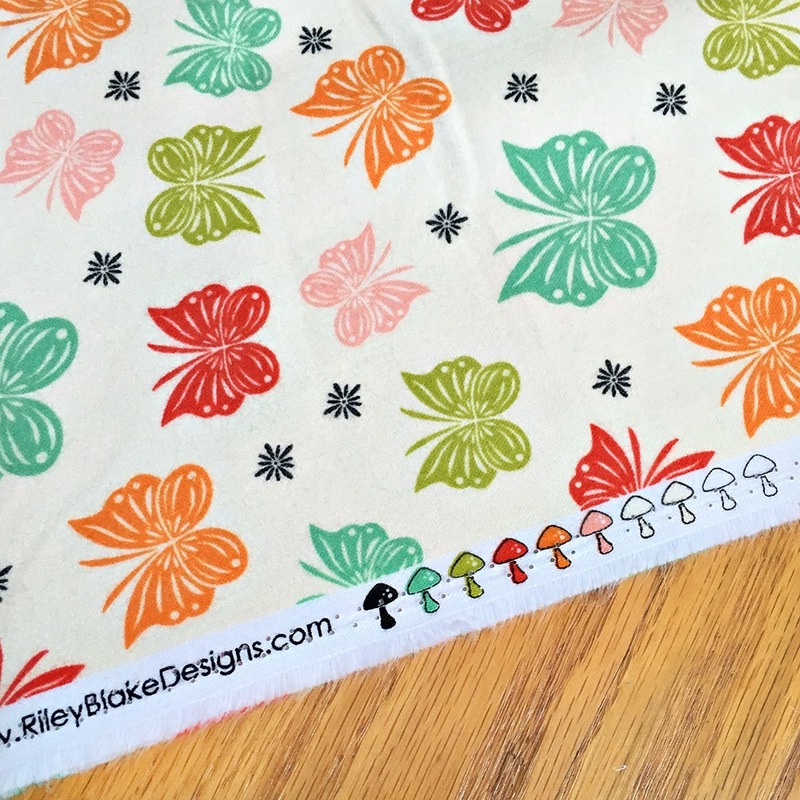 Also from the main print, I pulled a cute little retro flower into a tiny repeat print that is perfect for ruffles, borders or anything your heart desires! This print, titled Bloom Dot, is available in 3 color ways in knit and flannel. 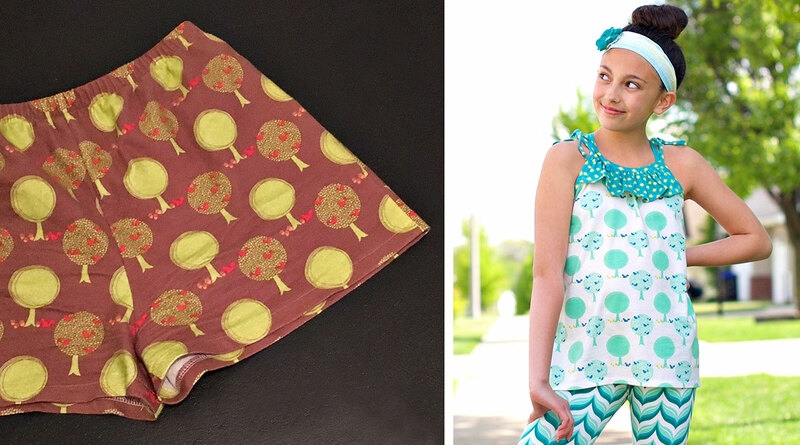 On the left, Sydney is wearing a top from my Laguna PDF Pattern, made with Bloom Dot knit. On the right, Sophie is wearing a pair of Flannel Shorts made with Bloom Dot Flannel. 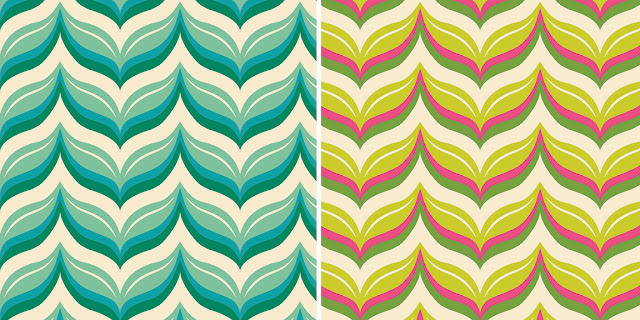 One of my favorite prints from this collection is this very retro-inspired wavy pattern, titled Leafy Chevron. This one only comes in knit in the two colorways shown below. 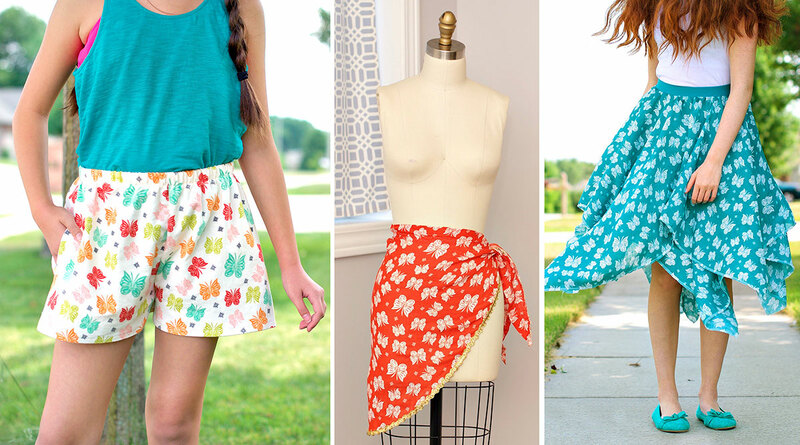 I made myself a Shirred Sundress (left), another project from my book, Patternless Sewing MOD Style. And Sydney is wearing a pair of ruched leggings from my Perfect Leggings PDF pattern. And last, but certainly not least, is this adorable print I titled, The Forest. It features trees, playful birds and our familiar friend Mr. Squirrel with his collection of acorns. This print comes in 3 colorways and it's available in knit and flannel as shown below. I made myself a pair of PJ shorts in the Brown colorway, and Sydney is wearing a sweet tank top from my Laguna Summer Tops PDF pattern. 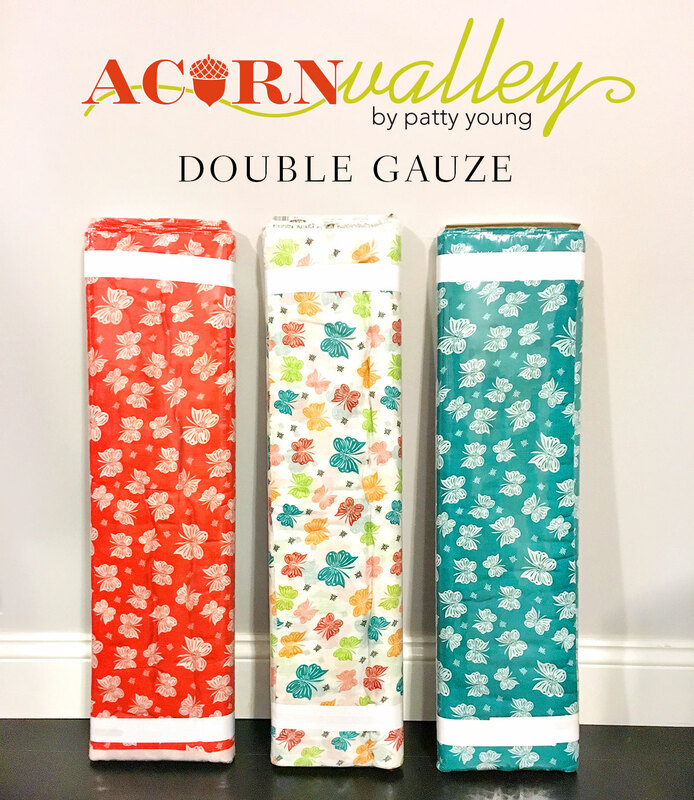 I hope you have enjoyed this tour of Acorn Valley, and I hope it inspired you to create something beautiful with these fabrics. I am also giving away a stack of Acorn Valley Flannels to one lucky winner! Use the Rafflecopter below to enter. We hope you are inspired!! We're having a sale to get you sewing! Coupon code AcornValley2016 gets 25% off your entire purchase in the Modkid Etsy Store. Valid July 11th through July 22nd at midnight EST. Love this fabric! I cant wait to order mine!